Matthias Muller | OK Listen! Ahimsa is a four-piece world music ensemble based in Germany, India, and Switzerland. Seamlessly weaving guitar, double violin and both North & South Indian percussion, their music is a captivating fusion, masterfully blending traditional Indian Carnatic music with elements of western classical music and jazz. The group grew out of a chance meeting in 1999 of Munich-based guitarist Matthias Muller and South Indian violinist S. Radhakrishna, which blossomed into friendship, mutual admiration and eventually a musical partnership. 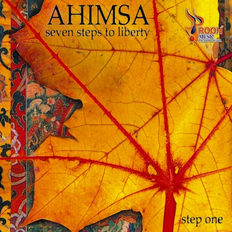 With the addition of two ace Indian percussionists and a bassist, the line-up of Ahimsa was born, and their two albums to date, `Seven Steps to Liberty’ and `What is the Nature of Spirit?´ have acquired broad critical acclaim. Ahimsa in Sanskrit denotes non-violence and compassion for all beings. Today Ahimsa tours as a quartet, with Matthias on guitar, Radhakrishna on the rare and unique, stereophonic double violin, and percussionists Udai and Yoga, from North and South India, respectively. Their musicianship is superb and their live performances are incendiary. 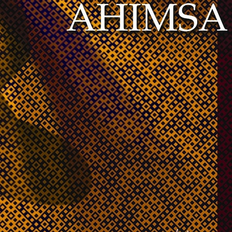 In Ahimsa’s fiery compositions, the complex rhythmic structures and raga improvisations of Carnatic music are extemporaneous, yet meticulously balanced with the harmonic diversity of western classical music and the unlimited expression of jazz. The band creates daring and compelling explorations, played with a virtuosity reminiscent of the legendary â€œShakti- ensemble-yet at the same time innovative, fresh and uniquely their own. Attesting to their dazzling virtuosity, the band’s individual members have collaborated with a veritable who´s who of modern music-from Pandit Ravi Shankar, maestro Yehudi Menuhin, Stephane Grappelli, Dr. L. Subramaniam to John McLaughlin, Zakir Hussain, and V.M. Bhatt-to name just a few.